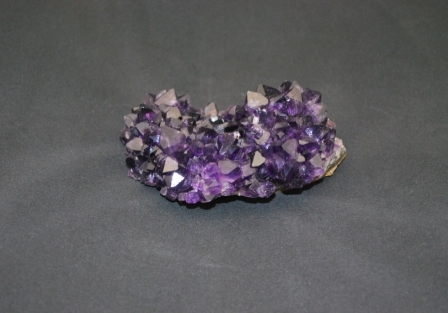 Amethyst is a stone of spirituality and inspiration. It brings transmutation of lower energies into the higher frequencies of both the spiritual and etherial levels. 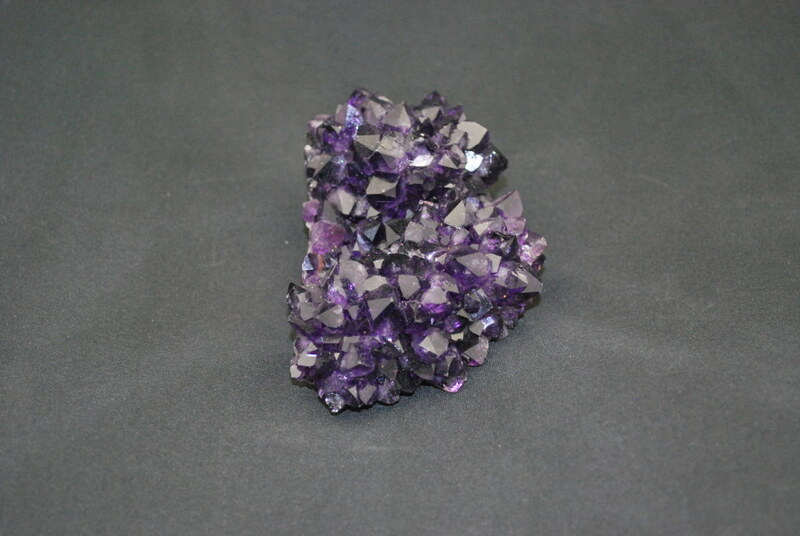 Amethyst resembles the full metamorphosis. The Amethyst quartz balances the energies of the physical, emotional and mental bodies and provides a clear connection between the Earth plane and the spiritual worlds. It clears the aura and stabilizes and transmutes any discordant energies located within ones body. 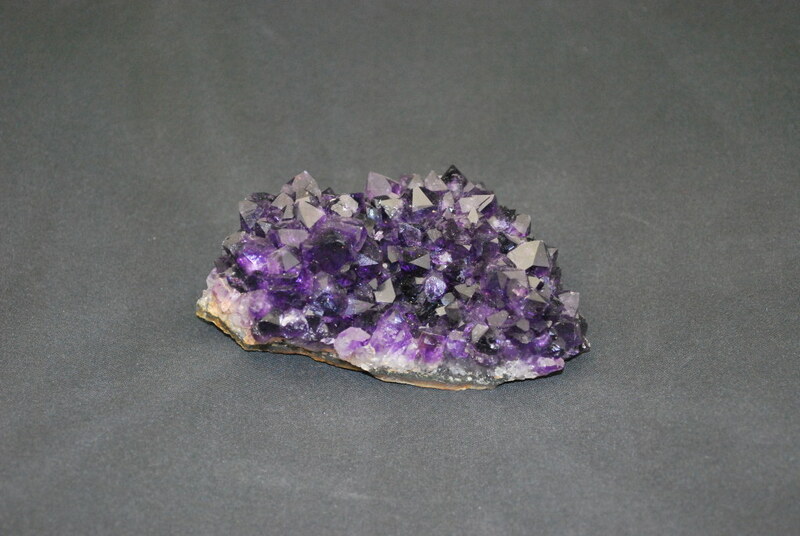 Amethyst also bestows stability, peace, invigoration and strength. Amethyst is the stone of meditation, being excellent in conducting the energies of the Violet flame and the peacefulness that we once had before birth into a human body. It opens and activates the crown chakra. It can be also used for protection against psychic attacks. It brings spiritual dedication, which makes it a powerful and positive meditation stone. 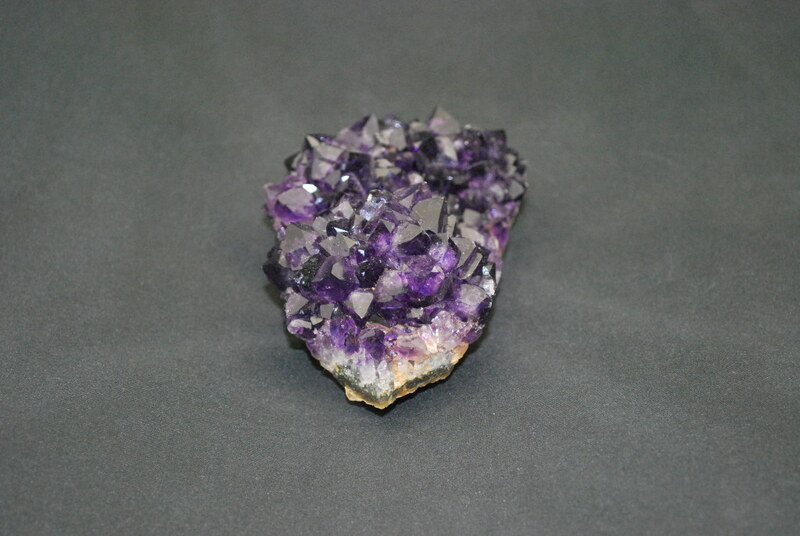 Amethyst works on the pineal gland, the top of the head, the crown chakra, the brain and the scalp. 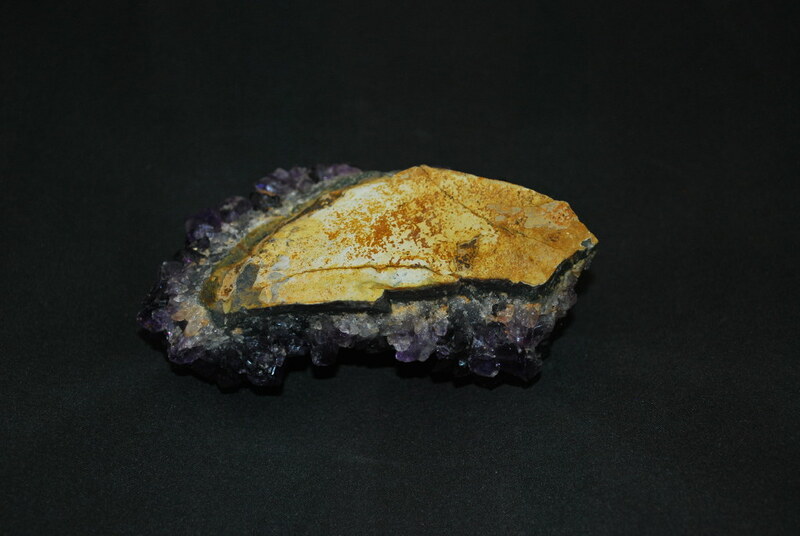 Amethyst can be beneficial to help calm people who are emotionally erratic. It treats any kind of internal inflammation. It also treats heart palpitations and hearing disorders, the skeletal system, nervous system, immune system, digestive tract, stomach, heart, skin and teeth, insomnia, mental disorders, eye problems, headaches, migraine and pain. It is used for regression and it links to the unborn child, hence its use in infertility. It protects those who are unable to protect themselves - babies, small children, the sick and vulnerable and the animals. It also affords protection to those who are opening spiritually.